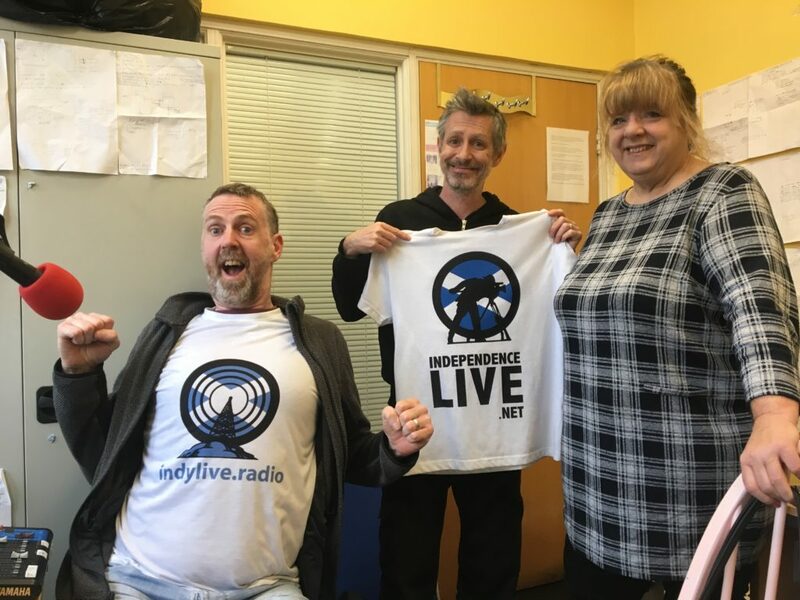 I’m just back myself from being interviewed today (8/4/2019) on IndyLive. Kevin Gibney has plans for promoting Pensioners for Indy – he fully appreciates the need to get the message over to the older generation. The interview was co-hosted by Ken McDonald, the editor of the high-quality magazine i-Scot. 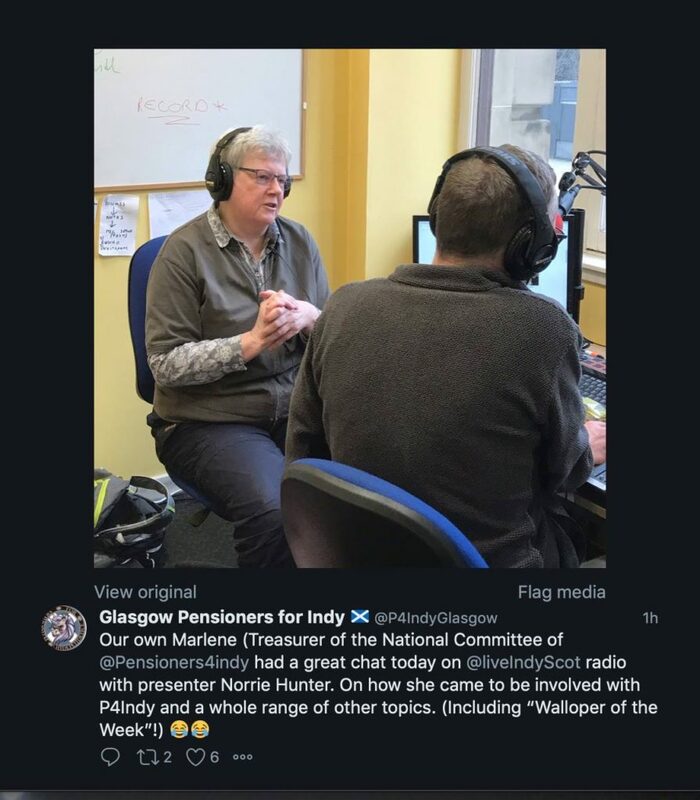 We talked from about 12 noon till 1.45 (with musical interludes) about the growth and development of Pensioners for Indy: what the Edinburgh and Glasgow groups were doing, what Dumfries and Galloway were doing (White Rose Day) and Perth and Aberdeen. We discussed various ways of reaching senior citizens who live all over the community and so can’t be easily targeted. As well as our stalls I mentioned writing letters to the Press (especially Unionist newspapers) and of course the Pensioners for Indy Warblers and our musical gigs. I’m grateful to Brian Watson (himself a regular on our Pensioners for Indy Glasgow stall) for making the contact. (He was invited along to be interviewed about YES Bearsden and suggested they also talk to me as Co-convener of Pensioners for Indy). Thanks, Brian!